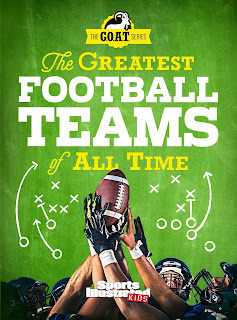 Perfectly timed for football season, and a super fun & informative read for middle grade football enthusiasts, The Greatest Football Teams of All Times kicks off the start of a brand-new series for SI Kids, covering the various G.O.A.T. 's in various sports. This first book in a new series delivers all the deep background on the greatest teams to take the field. Whether it’s single-season teams, great teams era by era, or ultimate fantasy teams, readers will get an in-depth experience in football G.O.A.T.s - Greatest of All Time - with this all-new and unique view of America's favorite sport. I'll be the first to admit I don't know much about football. Even with my very basic knowledge, I do have a favorite football team - Dallas Cowboys! 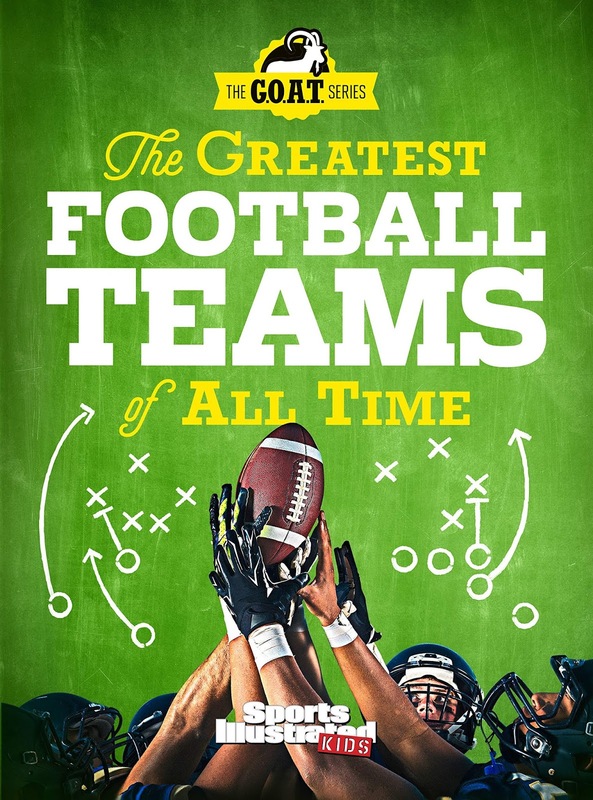 If your child is a fan of the sport and wants to know more about individual teams and players (or even if you do), then I recommend The Greatest Football Teams of All Time hardcover book. Loaded with pictures, stats and information, this book spans across the years and talks about some of the best professional and college teams to ever play. There's also loads of fun facts, insider stories, strategies, and player profiles. It's a pretty impressive sports book. My Dad would like to have this I think! :) lol! All of my boys would enjoy this. My son would love this! He is always watching football with my hubby.